Original Art: Acrylic on wood panel, 30"x 20"x 1.75". 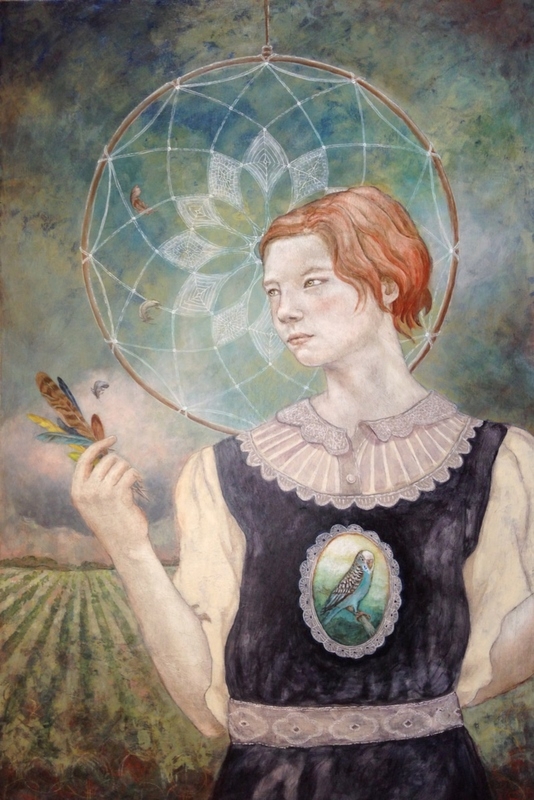 This painting appears in the Illuminated Earth Oracle as the card of "Memory". Like a daydream, our memories sometimes lure us into nostalgic thoughts of the past. Seemingly a more happy time, we may get caught in the web of the illusion of past and future, rather than staying in the present.